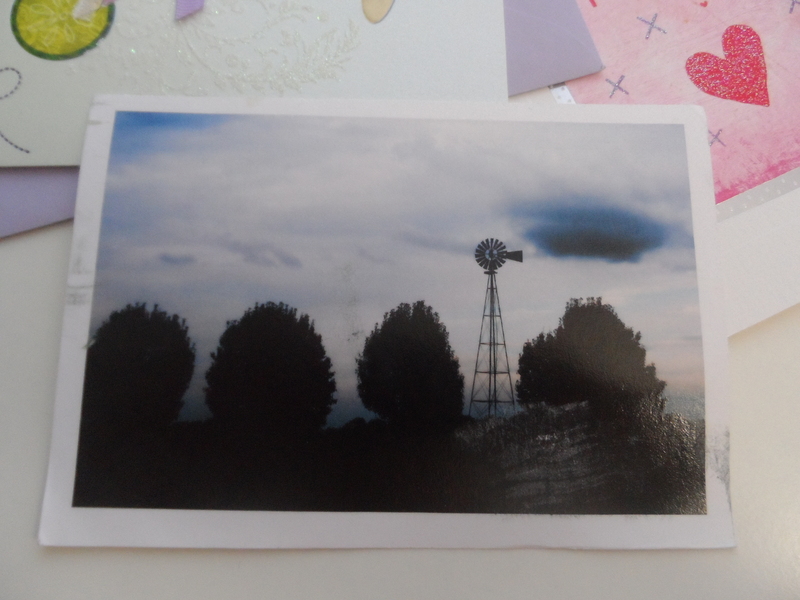 Wordless Wednesday: Windmills in Mississipi, a postcard from Laili! – Go ask Alisa – DIY capsule wardrobe one stitch at a time! Wordless Wednesday: Windmills in Mississipi, a postcard from Laili! Not too long ago I posted an article about my life long obsession: postcards. Not only do I send postcards to my friends and family from any of my travel destinations, I also love to receive them and of course – to collect. My collection is huge, and up to today I have sent out more than 500 of different postcards from around the world. It was such a pleasure to receive a postcard from Laili, who responded to my Postcard exchange invitation in the post over here. She lives in Mississippi, and not only we do share the passion for postcards, we also share the same heritage! How amazing is that? Laili, thank YOU so much! Especially knowing that you photographed this windmill and printed it out to create your OWN unique postcard. Such an amazing experience! What a lovely thing to do for you!